Presented by Kaldor Public Art Projects for the 2014 Sydney Festival, highly acclaimed Slovakian artist Roman Ondák presents a trio of participatory works at the historic Parramatta Town Hall. 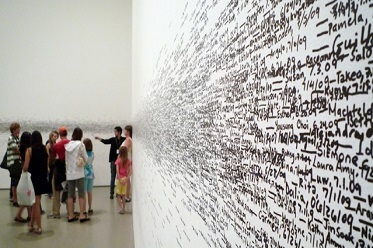 Swap (2011), the riveting interactive chain of barter and exchange that delighted 13 Rooms audiences, and Measuring the Universe (2007), previously presented to great acclaim at MoMA, New York, and Tate St Ives, United Kingdom. The third work, Terrace (2014) has been created especially for Kaldor Public Art Project 28. Roman Ondák takes the familiar elements of everyday life and reframes them to surprise our expectations and perspectives. He investigates social codes, conventions, rituals and forms of exchange by discreetly dislocating objects, ideas and actions from their usual settings. His installations, performances and interventions are sometimes scarcely distinguishable from the context in which they are presented. Often humorous, they provoke a double take by viewers, making them question their preconceptions and modes of interaction. 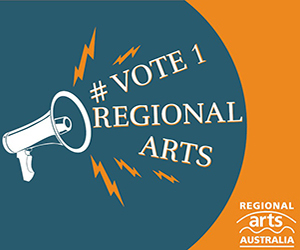 For more information, visit: www.kaldorartprojects.org.au for details.